My yard is absolutely loaded with plantain. I used to try to dig it up to toss or spray with weed killer. After reading your article I tried using it as a salve for bites and stings. It was like a miracle. First I tried crushing it with a motar and pestle, but didn’t get enough “juice.” So I did the gross thing…chewed it up and put it on the bite. Much better. My husband is a mosquito magnet, and got about 8 bites on his ankles….got instant relief with the chewed up plantain. Either that or my spit has remarkable medicinal properties!! Thanks for this article. I have told some others and now they want to come over to my yard and get some to transplant. I had a bad burn from hot grease.I kept putting an oil and plantain infusion on it every day.Now you can’t even tell where I was burned! 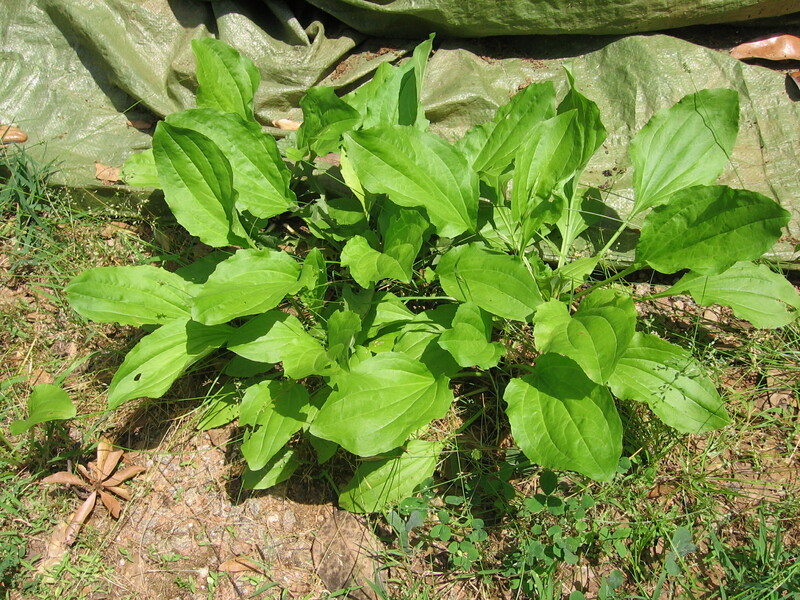 Plantain is so powerful for skin conditions. I walked with someone the other day who pointed to plantain and asked, “What is that? Is it just a weed?” I had the great opportunity to introduce this person to a powerful herbal ally.